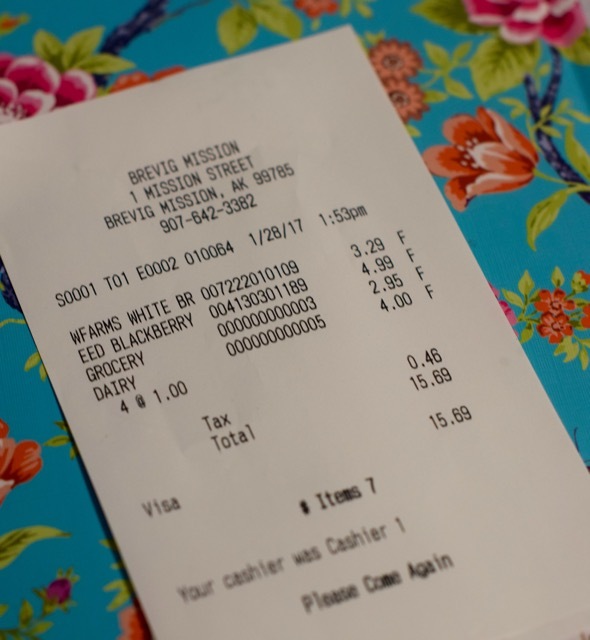 One of the most frequent questions I'm asked is about the price of groceries in the village, prompting a new feature here at The Alaska Teacher: What I Bought at the Store. The latest trip to the Brevig Muit Store was probably the cheapest trip I've ever made to a store in Bush Alaska. I only spent fifteen dollars! My fifteen dollars got me a loaf of white bread, a bag of frozen blackberries, four onions (they're listed on the receipt as "Dairy"), and a bag of chips (listed on the receipt as "Grocery"). 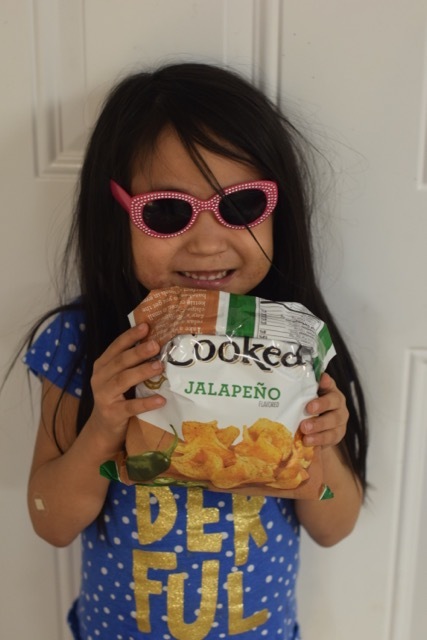 My lovely little model is displaying the chips for my readers. See how they're folded over and taped? They came like that. That's why they were only $2.95. I look forward to sharing more prices and additional trips to the stores in Brevig Mission!